Prominent & Leading Exporter from Chennai, we offer four fools book, the shorter line book, the warmth of the light book, wisdom in a pitcher book, the tasty brinjals book and hunchback book. 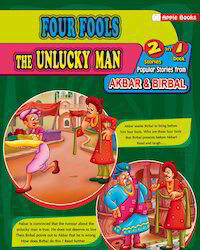 Four Fools & the Unlucky Man book offered comprises 2 in 1 book that are popular stories of Akbar and Birbal and come in 16 page softbound finish. Coming with relevant illustrations, it gives children quality read time a well as introduce them to basics of reading sentences. Some of its features include stories on variety of themes in full color print, easy to learn and understand sentence formation, interest kids and makes learning a lot more fun, the best learning/moral education book. 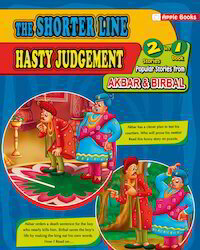 The Shorter Line & Hasty Judgment book offered is a 2 in 1 book that contains in it popular stories of Akbar and Birbal. Coming in 16 page softbound finish, these beautifully-illustrated books stimulate thinking and cover stories on a wide range of subjects. Fostering a love of reading and improving their reading skills, it is suitable for preschoolers and kindergarten children and covers different subjects. Some of its features include well designed illustrations, makes children read & learn at an easy pace, colorful presentation of the book, wonderful way to learn, inviting kids to explore or fire their imagination. 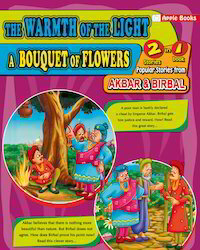 The Warmth of the Light & a Bouquet of Flowers book offered is a 2 in 1 book that contains popular stories of Akbar and Birbal. 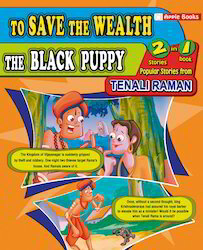 Available in 16 page finish, the book has simple language with relevant illustrations and attractive layout which provides children good exposure to moral stories. 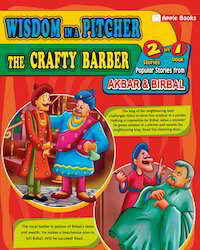 Some of its features include appealing finish of that makes it a exciting read for younger children, meets the growing and expanding reach of children's books, best stories to get your little kid hooked on reading, wonderful ways to learn story morals, well designed illustrations. Looking for 2 in 1 Popular Stories ?